Flavour Zen Tastes: Sammiches are beautiful, sammiches are fine! Sammiches are the best. 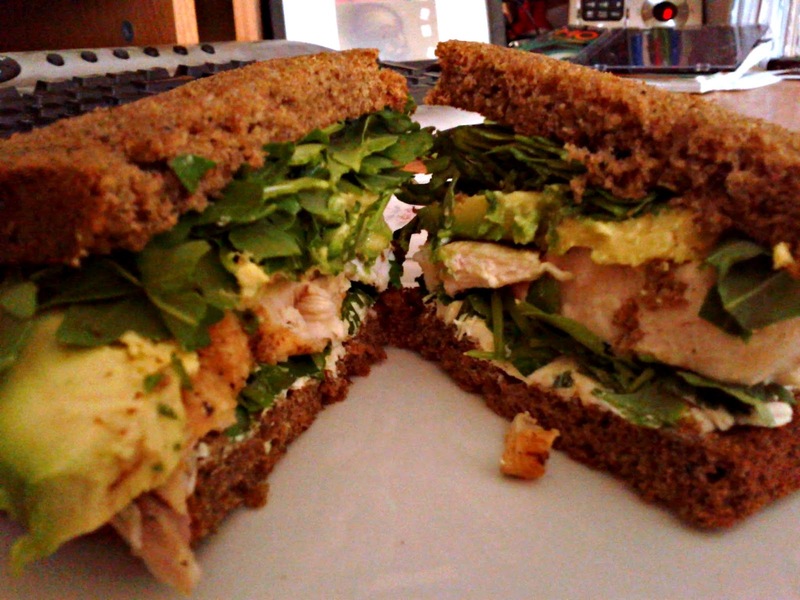 This one is on sour dough rye with cream cheese, cilantro, grilled chicken, avocado and arugula. Nothing fancy, just everything piled on top of each other and eaten with ferocity. My beard became a catcher of the rye, and of everything between it.